In 1975 Spain ended its nearly century-long colonization of Spanish Sahara, leaving the territory to be overtaken by Moroccan and Mauritanian forces. Under the leadership of the POLISARIO Front the Sahrawis continued their guerilla war for self determination. In 1979 Mauritania withdrew and Morocco moved in to claim the rest of the territory now known as Western Sahara. The war continued until 1991, until a UN-brokered ceasefire with the promise of a referendum on independence for Western Sahara that never came. Morocco continues to occupy Western Sahara, transferring its citizens to the territory and extracting its resources under the protection of France’s protective veto in the UN. Meanwhile the Sahrawi community either lives under a brutally oppressive police state in occupied Western Sahara, or on the other side of the wall, a 2,700 kilometer barrier that Morocco constructed, which forms the de-facto border, splits Western Sahara in half, annexes most of the economically valuable land, and which forms the second longest wall on earth. Mahfoud is one of approximately 170,000 Sahrawi refugees who are stuck on the other side of that wall in the harsh desert of Western Algeria. He was was born in 1991, the very same year that saw an end to the 16-year war between the the Sahrawis and the Moroccan government. But the following 28 years have not seen an end to the conflict, or the referendum that was promised to his people. Latitude Adjustment is 100% listener supported. 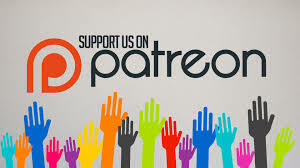 If you agree that we need more independent media that prioritizes curiosity and connections over fear and divisions then please support us with a monthly donation through our Patreon page. Thanks! Sons of the Clouds, the last colony from Candescent Films on Vimeo. Hola, de España! This is the first episode I’ve produced from a country where I’m actually located, and my first in-person interview for the podcast, though this show focusses on the independence movement up north in Catalonia . Txell is a linguist who speaks Italian, French, English, Spanish, Catalan… and Finnish. And while she’s lived in Barcelona since 2014, she’s originally from the Comunidad Valenciana just to the south of Catalonia, and offers a unique outsider/ insider perspective on the independence movement. This episode attempts to lend some historical and personal perspective to the current political situation. And if you’ve been wanting to know more about modern Spanish history you may find the speed history lesson at the beginning to be helpful. Be sure to check out some recommended reading below, if you want to learn more about the 1936-1939 Spanish Civil War and contemporary Spanish history and society. And, we’ve just launched a Patreon page for Latitude Adjustment podcast. The show will remain free to the public, but if you find value in it then please consider supporting us with a dollar or more per month to help make our efforts sustainable. And remember to tell your friends about us! Thank you for your support!